You can’t really say enough good things about the work that the University of Northern Colorado is doing out here in the Pacific Northwest on the recruiting front. They have gotten in early on some of the northwest’s top kids, lead by offensive line coach and recruiting coordinator Chris Smith, and have really started to put the pieces in place. The school is based in gorgeous Greeley, Colorado. It is just an hour outside of Denver, but still maintains that college town feel with the big city not far away. Anyone who has ventured out that way appreciates the landscape I am referring too. The Bears push for top recruits in Oregon and Washington has been prevalent as of late. Smith says, "It seems like a lot of guys were getting overlooked out that way, and we felt that we could really capitalize being proactive in the northwest". He continued, "We want to be a school that recruits these top student athletes early, and shows them our sincere interest in having them come play football here". Our favorite aspect about the UNC program is that they do things the right way. From day one it was very apparent that we were hearing from a class group of coaches who put the kids personal lives first when referencing the recruiting process. Coach Smith was very adamant about making sure all of the athletes knew where they stood as they proceeded recruiting them. " We always want to make sure that when we offer a kid, we are all on the same page, its important to us that we as a staff put these kids lives first". Head Coach Earnest Collins Jr. is a former UNC player, and is in his second season and doing an outstanding job building a program that competes in the "SEC"" of D1aa. Nigel Burton of Portland St is one of the best young coaches in America, and offered over 20+ NW kids last season alone in a record breaking year. With this type of presence locally its important that UNC is getting the jump that they are on these athletes, with a local team having a lot of pull. The NCAA prevents coaches from commenting on the athletes that they have offered, but we have a lot to say. The Bears got the jump on NW top receivers Tanner Shipley (6-2 185 Sr.) Wilsonville OR, Ausin Baird (6-0 190 Sr.) Marist OR, and Nic Sblendorio (6-0 190 Sr.) Skyline WA. 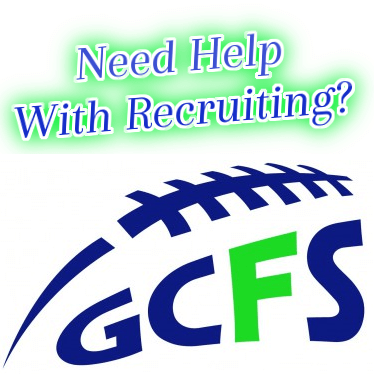 They have also offered new Sheldon transfer Mike Ralston (6-6 240 Sr. TE/DE) who can play on either side of the ball, and top lineman Matt Sommer (6-5 290 DL) West Salem OR, Cole Madison (6-5 255 DE) Kennedy WA, and Max Rich (6-7 295 OL) Jesuit OR. All of these athletes are ranked towards the top of our recruiting boards in both states, and we have nothing but positive things about each of these players characters. They are top athletes, but also quality people all the more complimenting the job that UNC and Chris Smith are doing out in the Pacific Northwest. Smith says, " Its good keeping up with you guys at Barton Football and (NEI) Northwest Elite Index, you are doing wonders for these kids helping them get noticed, and we look forward to keeping a continued presence out that way for years to come". The feeling is mutual as we are big backers of what the UNC programs stands for, and all they are doing in the toughest D1aa conference in the country. Congrats to all of those athletes who have been offered by the Bears, its a school that we will hear a lot about in the next few seasons.